Whether you are Buying or Selling a Lehigh Valley PA home, the information you need about Allentown Real Estate, Bethlehem Real Estate, and Easton Real Estate is located here. 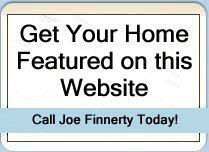 Click Here to Feature Your Home On This Site! 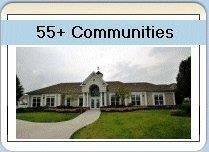 Lehigh Valley Real Estate, Home Listings and Home Buyer and Seller Information for all municipalities in Lehigh and Northampton County is available including Bethlehem, Nazareth, Palmer, Forks, Easton, Whitehall, Hellertown, Macungie, Bushkill, Plainfield Township, Bangor, Northampton, Lehigh Township, Allentown and Saucon Valley. What's Your Home Worth? 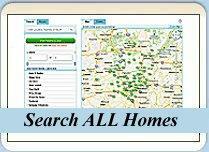 Lehigh Valley Home Sales & Neighborhood Info! The resources are available here to help you make an educated decision. As a Lehigh Valley home buyer you have access to Allentown Real Estate, Bethlehem Real Estate, and Easton Real Estate plus all of the municipalities surrounding these major cities. The complete home buying process is explained including information about how much money you will need to purchase a house and what your mortgage payment will be. In addition, you can find information about every Lehigh Valley Municipality and the real estate market share in each area. Are home prices going up or are they going down. Now, you'll know. The Valley is home to many social activities throughout the year. If you like to dine out, many varieties of restaurants are available. Don't miss that House! Sign up for the Dream Home Finder to receive email about homes the day they become available for purchase. Are you thinking about selling your home? Information about the real estate market share is available for all the municipalities in Lehigh County and Northampton County. You can view the average home sale price in your area for the past three years. 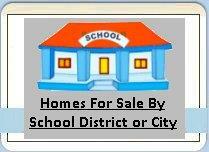 School districts are very important and affect the price of the house. Information about all of the Lehigh Valley School Districts is available as well as links to the PA Department of Education and 3rd party companies that rate the schools. Curious about what your Lehigh Valley Home is worth? You can request a free over-the-net evaluation. 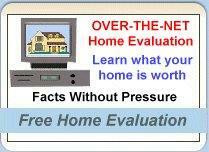 This report is provided via email and should give you a general idea of the market price of your house. The Valley consists of Lehigh County and Northampton County. Northampton is closest to the New Jersey border and more popular with home buyers that plan to commute to New Jersey or New York for employment. Typically, with a New Jersey or New York commute in mind, buyers look in the cities/townships of Easton, Forks, Palmer, Nazareth, and Bethlehem. It depends on how far you are willing to drive. As your Relocation Resource, Lehigh Valley Homes Online includes everything needed to begin your journey. 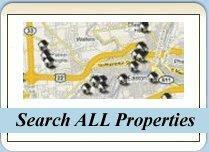 Search the LVAR MLS (Lehigh Valley Association of Realtors Multiple Listing System), for all homes available for sale.